This makes me as proud as punch! 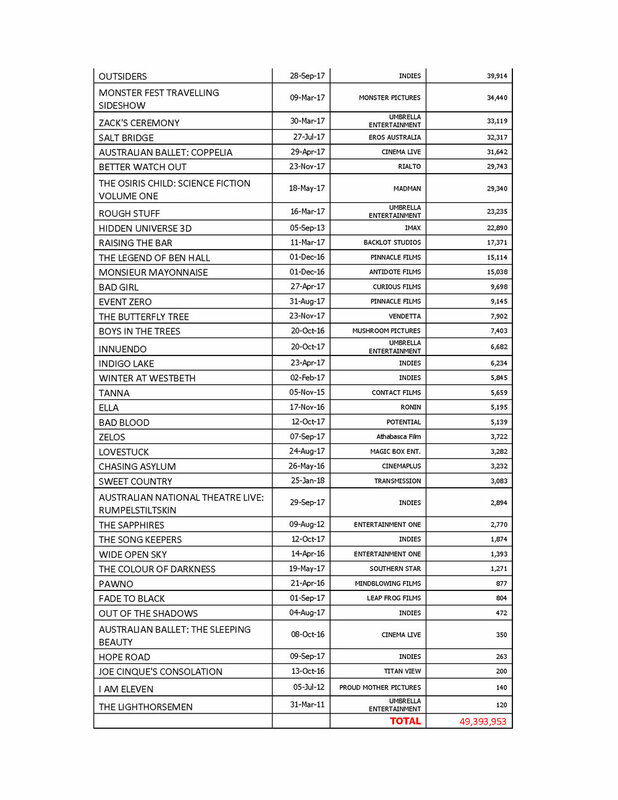 Below is the 'Box Office Scorecard' for all Australian films in 2017. Here's the full article. The angle is that Australian films are not getting a share of the Box Office, but I see a different story. On the first page of the list is a little film (35th and 14th out of documentaries) that had no distributor, PR, advertising budget, producer, broadcaster, film festival or screen agency support. For most of the year it didn't even have a trailer. All it had was you! Your energy, enthusiasm, and word of mouth. And some grit and determination on our side. I like to think of the parallels between the film and the CRLC. We both wrote to everyone and when we didn't hear back for a year we went ahead anyway. Because we knew it was the right thing to do. Thanks to you all, I am very grateful for your support. And thanks to the refugees in Indonesia for showing us how it's done. Here's to the power of community! Thank you. HOw Donald trump inspired the staging post.